Traveling our roadways everyday is risky. Even when we, as drivers, do our best to drive safely and follow the road rules, there are always fellow motorists who speed, drive recklessly, distracted, or intoxicated- increasing our chances of being involved in an accident. When people hear about vehicle accidents, many assume that a passenger vehicle (car) was involved, but many truck accidents occur daily as well. 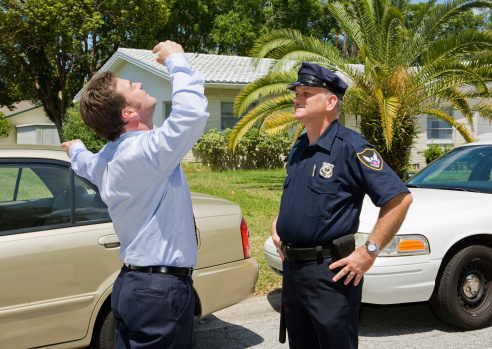 In 2011, 32,367 people were killed in the estimated 5,338,000 police-reported motor vehicle traffic crashes and 2,217,000 people were injured; that’s a startling average of 89 people dying each day in motor vehicle crashes, or one every 16 minutes. 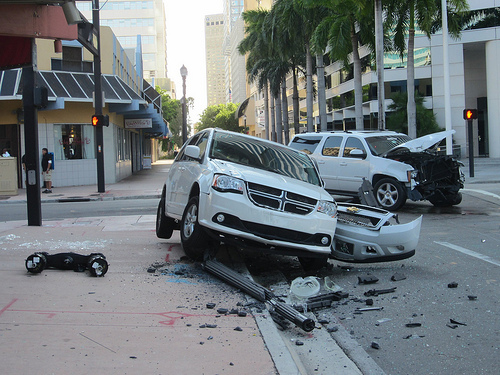 Car vs. Truck: Does it Matter in the Event of an Accident? Some people think they will be safer in a passenger car, while others assume that a truck is the safest place to be in the event of an accident. According to the Insurance Institute for Highway Safety, small or lighter vehicles (such as passenger cars) have less structure and size to absorb crash energy, resulting in higher crash force. In the event of an accident between a light vehicle and a heavier vehicle, more damage will occur to the lighter weight vehicle. However, pickup trucks and SUVs are more likely to be in single-vehicle crashes resulting in a rollover, as such vehicles are known for their rollover risks. 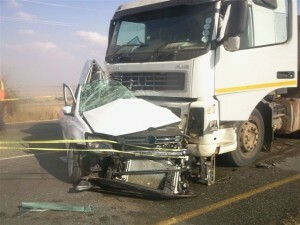 While trucks are generally safer, due to weight and size, it all depends on the accident itself. Passenger cars are often no match to a large truck (such as a semi-truck) as the weight differential is much different, and smaller cars could be easily crushed, run off the road, or destroyed head-on. Often times, passenger car drivers hang out in the “blind spot” of a larger truck, putting their lives at greater risk in the event of a collision between the two types of vehicles. The number of occupants killed in accidents involving: passenger cars (11,981), light trucks (9,272) and large trucks (635). The number of occupants injured in accidents involving: passenger cars (1,240,000), light trucks (728,000) and large trucks (23,000). In 2011, there were 9,878 alcohol-impaired-driving fatalities including drivers with a BAC of 0.08 or higher, 24% for drivers of passenger cars, 21% for light-truck drivers, and 1% for drivers of large trucks. 3,757 of all motor vehicle traffic fatalities involved large trucks (more than 10,000 pounds). Of those crashes, 72% were occupants of other vehicles and 17% were occupants of large trucks. 70% of large trucks collided with other vehicles in transit. Regardless of what type of vehicle you operate, a passenger car or a “big rig”, it is important to buckle up, stay focused on the road, never drink and drive and always pay attention to the driving behaviors of fellow motorists. While the chances of being injured or killed in a traffic accident are higher if you drive a smaller vehicle, it is important for drivers of large trucks to remember that they are not invincible (even though they drive the biggest vehicle on the road). 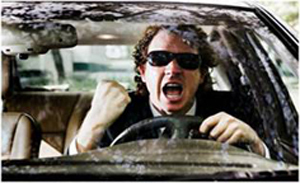 Vehicles can be dangerous, as can the driving habits of others. 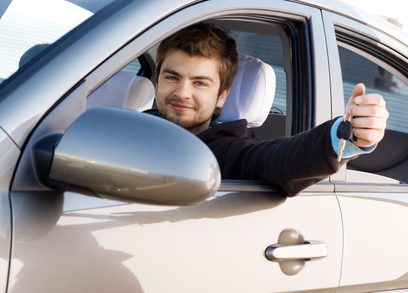 Make your safety your number one priority, regardless of the vehicle you drive!